Finding a good, reliable (and affordable!) mosquito repellent can seem like a bit of a challenge at the best of times – but it becomes even harder if you are looking for one that’s suitable for babies. You don’t want your little angels to be exposed to any potentially toxic, harmful chemicals, do you? Well never fear! 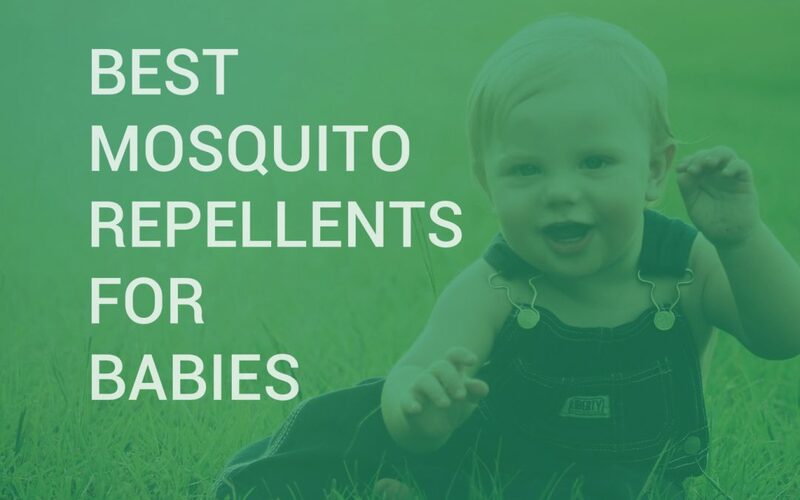 In this article we take a look at the best mosquito repellents for babies out there on the market today – if you want a mosquito repellent that is fully natural, organic and free of toxic chemicals like DEET, then you have arrived at the right place. Read on to find out more. Whether you are out camping, hiking or fishing, or just enjoying a barbeque in the backyard with friends, you just can’t seem to enjoy the warmer weather without being pestered by mosquitoes. 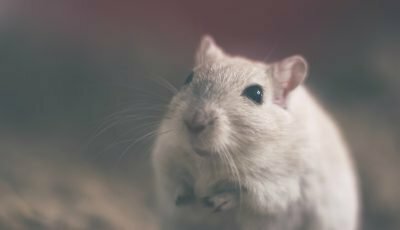 These blood-sucking pests are drawn to human skin (and blood), like moths to a flame – apparently, they are hyper-sensitive to the warmth emitted by our bodies, as well as the odor of carbon dioxide and other gases emitted by our skin. 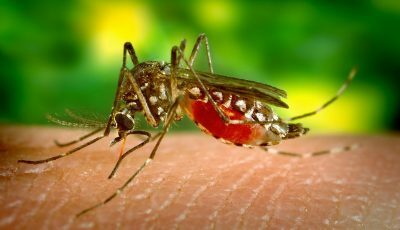 Not only are their bites itchy and irritating, mosquitoes are also the carriers of many dangerous diseases, including Malaria, West Nile River virus, Dengue Fever, Ross River Virus, and the Zika virus – which they pass on to us as they feed on our blood. Although they have a short lifespan (2-3 weeks long), mosquitoes are known to breed extremely rapidly; the female of the species is capable of laying hundreds of eggs and spawning equally as many offspring, in a very short period of time. All mosquitoes require to reproduce is water (such as that found in ponds, streams, creeks, swimming pools, birdbaths, fish ponds etc), and a source of food (us!). When under attack by hordes of swarming mosquitoes, the solution for most of us goes without saying – simply lather yourself up with mosquito repellent, and you will form a chemical barrier between yourself and the bugs. Insect repellents nowadays come in the form of sprays, lotions, gels, roll-ons – and even shampoos – so there is something out there for just about everyone. But babies? They too require protection from mosquitoes, but applying a mosquito repellent to your little one requires a great deal of care and caution. Some repellents contain insecticide ingredients that are toxic to children – and potentially even adults. Whereas others are certified as safe for babies and young children. Let’s take a look at which repellent ingredients are baby-safe. DEET containing repellents: most repellents traditionally have made use of a synthetic chemical known as N-diethyl-3-methylbenzamide – or DEET for short – as their best line of defense against insects. Although effective enough at repelling bugs, the problem with DEET is that it is thought by many to be toxic to humans – adults, not only children. And indeed the American Academy of Pediatrics doesn’t recommend using DEET containing products on children below the age of two months – for products containing 30 percent or more of DEET, these should not be used on children of ANY age. Products with 10 percent DEET (say) may be safe to use on older children. But we wouldn’t recommend risking it! Plant-based repellents: some repellents use the essential oils of plants like cedar, citronella, eucalyptus, and soybean to ward off mosquitoes. Although less potent an insecticide than DEET, and not nearly as long-lasting (protection generally doesn’t last more than two hours), plant-based repellents are 100% natural and non-toxic and are generally safe to use on young children. The exception is babies younger than two months of age – because they need to be re-applied so regularly, their use is not recommended here. Permethrin-containing repellents: permethrin is another potent insecticide, this substance is a synthetic chemical whose structure resembles a naturally occurring insecticide found in the chrysanthemum flower. Although synthetic, it is mostly non-toxic. However, it doesn’t provide much protection against mosquitoes (only ticks, lice etc), and can be applied only to clothing – not bare skin. Picaridin-containing repellents: picaridin is one of the newer insect repellent ingredients in town; it’s said to be as powerful and long-lasting as 10 percent DEET formulas. It is also odorless and color free and feels light when applied tot he skin. Though a promising candidate for a baby mosquito repellent, the American Academy of Pediatrics has so far held back from giving it the seal of approval. Whatever repellent formula you end up using on your baby, there are a few basic safety tips you should follow throughout. First of all, only spray repellent in open areas, so that your child doesn’t inhale them – and please refrain from spraying near food! Never apply repellent on or around your child’s mouth or eyes, or on areas of cut, irritated or infected skin; don’t spray directly into his or her face. In fact, try wherever possible to apply repellent to your baby’s clothes, not directly to his skin. And finally, when you are finished spending time with your baby outside, bring him in and wash his skin with warm water and soap, and be sure to thoroughly wash treated clothing before it is worn again. With the right formula and the right set of precaution, mosquito repellents can be made baby-proof (the exception generally speaking is babies younger than 2 months) – which is great news if you like to take your little one out to enjoy the elements during the warmer months. Let’s now take a look at what in our view are the best baby mosquito repellents out there on the market today. Read on to find out more. 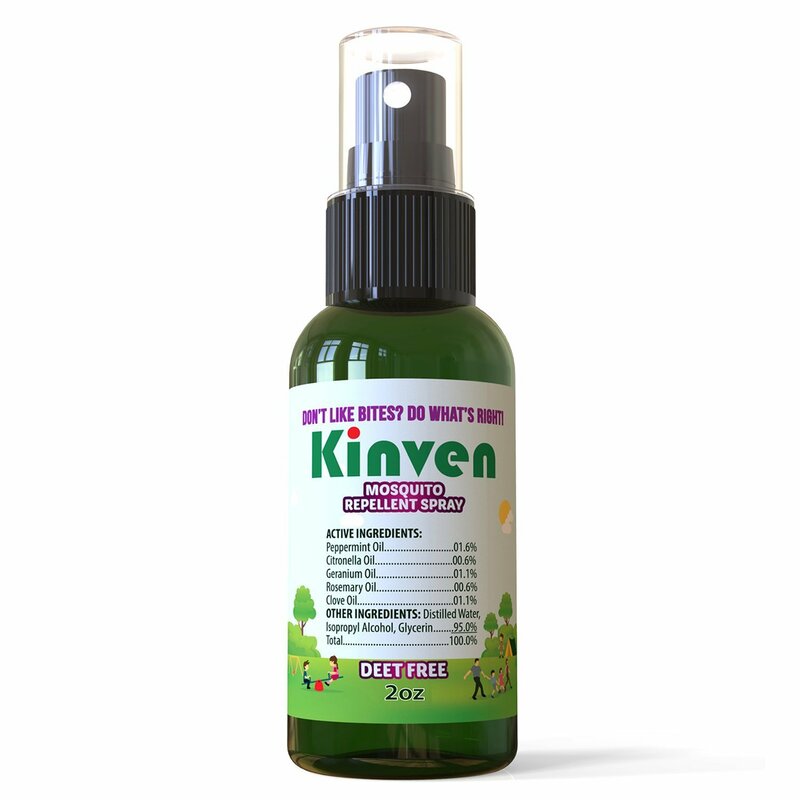 The first product in this list of best mosquito repellent for toddlers is the Kinven Natural Mosquito Repellent, which is not only all natural product, but also will last you several hours so you can keep the mosquitoes away, yet still do it in a safe and organic way. 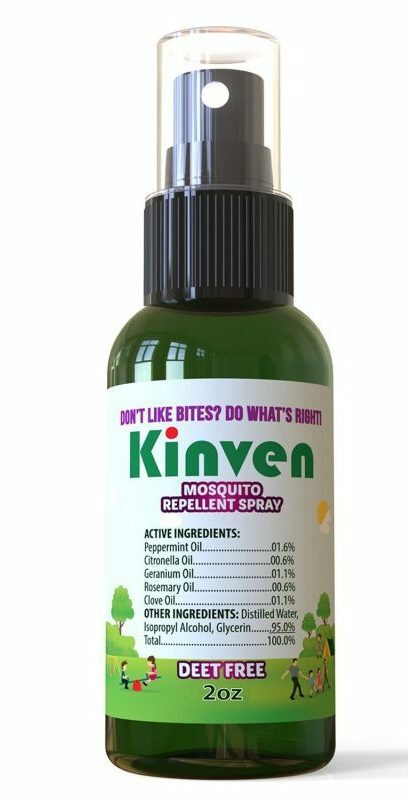 Ingredients used in this insect repellent are all natural because it contains things like Peppermint oil, Geranium oil, Citronella oil, Clove oil and Rosemary oil that not only will add the mosquito repelling component to the repellent, but also will make sure that the product smells nice and not like your typical repellents. 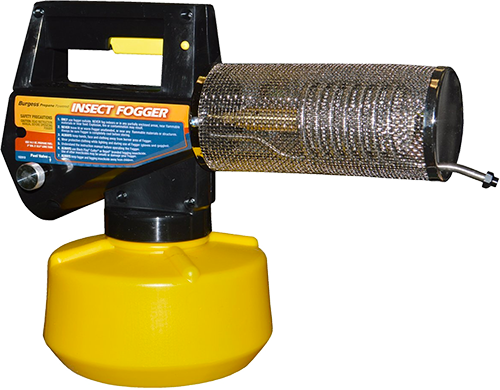 The insect repelling effect will last for up to 4 hours, which might not seem like a lot, but since the scent will work better even as some DEET based repellents, those few hours will truly be mosquito free for you. Since this product does come in a spray form, it is easy to use, because you can just apply it to your skin and it will quickly absorb in your skin without leaving a greasy residue, just a pleasant scent. And the 2-ounce bottle will be convenient as you can even stick it in your pocket and carry it around everywhere you go. The spray itself is biodegradable, since it contains all natural ingredients, so it won’t pollute the environment. You will need to reapply the product every 4 hours, which might not be that convenient for hikers or campers who are outdoors all day. A mosquito repellent for babies that is very popular among parents because it is efficient and gentle on the skin, is this Avon Skin so soft spray. What’s interesting about this product is that it comes in dry oil spray form. What that means is that although it has a spray pump and you can easily just spray it on skin and clothing, it will dry very quickly, without leaving residue, providing that you can use on even the most active toddlers and as soon as the mosquito repellent is sprayed on they can continue to run around and enjoy the outdoors. You can apply this product as regular mosquito repellent or use it as your after shower lotion because it is formulated with not only Citronella but also Jojoba oil, that smells nice and also is very moisturizing and will make the skin soft and smooth. No wonder actor Mel Gibson and the Royal Marines rave about this repellent because it not only is great as a regular skin lotion but also a great insect repellent, perfect for using as infant mosquito repellent. Comes in convenient 150 ml size bottle. This product isn’t completely natural, so keep that in mind, if you are using it on your children. For those who want a bit different mosquito repellent, that will be efficient yet won’t bother you or your children while you are being active, you should look into the Mosquitan mosquito repellent patches. These patches are a very interesting type of best mosquito repellent for toddlers because these patches are completely natural – they are filled with a mix of Lemon Eucalyptus oil, Citriodora oil, and IBI-246, yet they are able to keep the mosquitoes away for up to 6 hour time period. Another great thing about this baby safe mosquito repellent is that it doesn’t have an expiration date since the patches are only activated when you squeeze them before attaching them to your clothing. So stick them to your jacket, pants, T-shirt or other clothing you are wearing and enjoy having no mosquito bites and no mosquitoes swarming around you. Each patch will remind efficient at repelling mosquitoes for up to 6 hours. The efficiency of these patches are about 6 hours, so after that time period, you will have to attach new patches if you want the ultimate protection against mosquitoes. 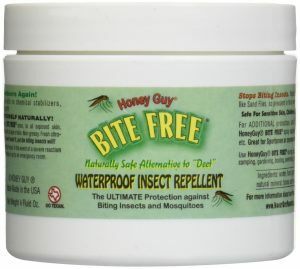 Another form of repellent that is suitable to use as a baby insect repellent is this repellent cream from Honey Guy, because it is natural, it is gentle, it is efficient and it smells nice, providing that it will be pleasurable to use. The ingredients that are used to make this repellent cream are citronella oil, that will add the cream its mosquito repelling capabilities and a mix of beeswax, mineral oil and borax, that makes up the base of the cream and gives it its texture and skin softening capabilities. So, in reality, you can not only use this cream as a mosquito repellent but also as a regular cream to make your skin smooth and soft. In fact, it is even recommended that you use this cream on problem areas such as dry or cracked skin since it will help you with these problems, too. 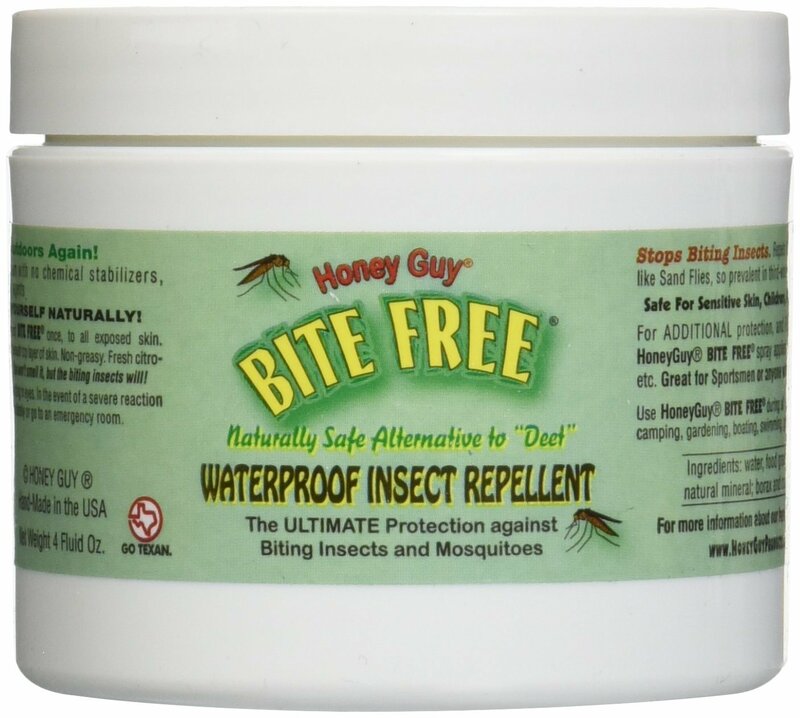 Use this product before and after going outdoors to make sure that you are protected from mosquitoes and that any bug bites that do occur heal quicker. And the product is completely safe so can be used as a mosquito repellent for infants. Completely safe to use as a natural mosquito repellent for babies. 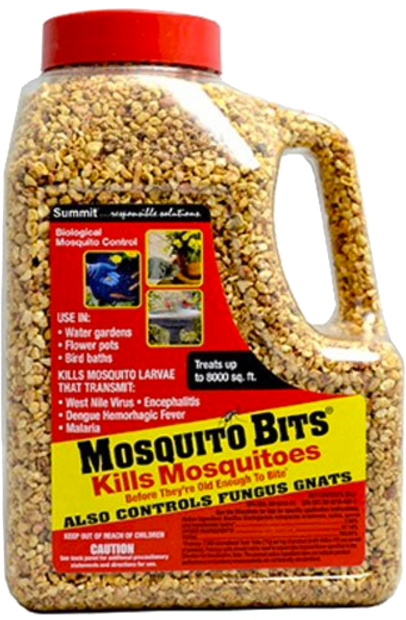 Don’t use this product if you are allergic to beeswax, borax, mineral oil or citronella oil. For a more traditional mosquito repellent, that comes in spray form, but that still is all natural and doesn’t contain DEET and other chemicals, so can be used as an insect repellent for babies, here is this mosquito spray by US Organic. This particular product is very effective because it contains such essential oils as Peppermint, Rosemary, Lemongrass, Soybean, Citronella, Cedar, Geranium, Casterand Lavender, which are known to have excelent mosquito repelling capabilities. On top of that this repellent is a baby safe mosquito repellent since it is dermatologically tested, USDA certifified and formulated to be suitable for even the most sensitive skin, like babies skin. The spray comes in a 115 ml spray bottle, making it easy to apply it. It doesn’t contain any DEET. But it still will protect you up to 4 hours, so you won’t have to reapply this spray that often, which definitely is much better for child’s and even adult’s skin. Spray it all over your body and even apply it to your face by first spraying the solution n your hands, and see how it is to hang out outside without being eaten alive by mosquitoes. You can spray this repellent both on your clothing on the skin and it won’t leave any residue or trace. Some people prefer using cream not spray type repellents as their mosquito repellent for baby. 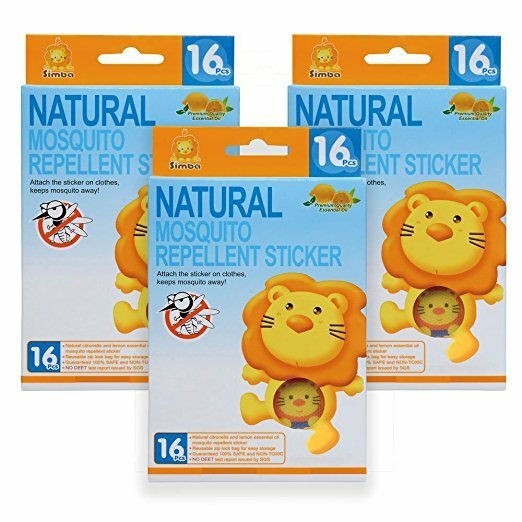 Another option of mosquito repellent patches are the Simba mosquito stickers, which are natural, DEET free insect repelling patches that can be used by adults or as one of the best mosquito repellent for babies. These stickers are great particularly because they last for up to 72 hours, protecting their wearer from mosquitoes and their bites. You also don’t need to apply them to your skin, which usually causes unpleasant feelings, when the patches are removed, because you can put them on your clothing and they will work amazingly. And since the stickers use 3M back glue, which is the same as on post-it notes, the stickers won’t leave any residue on your clothing and can be reapplied multiple times. Speaking of ingredients, these patches are infused with essential oils like Citronella and Lemon oils. The Lemon oil used in these stickers is a premium essential oil from England, so it is natural yet strong enough to repel misquotes for a few days, not just a few hours. But if that sounds off-putting, because you are worried about strong smell, don’t be frightened, because the scent is quite faint and you won’t probably even notice it if you stick the patches on your back, legs, and arms. You will just see that mosquitoes avoiding you and suffer fewer mosquito bites. These patches have a 3-year expiration date, which means that they will last you for quite some time. The stickers have a faint citronella or lemon smell, which might bother some. A mosquito repellent in a unique form is this Johnson’s baby creamy oil mosquito repellent, which comes in a lotion like consistency. Not only that but this cream is made especially for children, so that child of any age can be mosquito free while enjoying the great outdoors. One of the best things about the Johnson’s lotion is that although it is not marketed as an insect repellent, it still does an amazing job at repelling pests like mosquitoes and gnats while being gentle on the skin and suitable for both toddlers and infants. It is DEET free, so it is doesn’t contain harsh chemicals and is suitable for even the most sensitive of skins. But it does have ingredients like aloe and vitamin E, which will moisturize the skin and keep it nice and soft. Just apply this creamy oil to your or your kid’s skin or even on your clothing in you want and everyone will be safe from the prying eyes of mosquitoes. The lotion won’t leave any residue and it can be even mixed with sunscreen and other lotions, so even on the hottest days, mosquitoes aren’t a problem. And it comes in an 8 fluid ounce bottle, which will last you quite some time, but still will be small enough to fit in your bag so it is with you everywhere you go. Since it is made by Johnson’s baby, you can be sure that it is formulated, so it could be used on kids. It is not marketed as a mosquito repellent, so not everyone will believe that it does repel mosquitoes. If you don’t like lotions, creams, sprays or even patches to help you avoid mosquitoes, but you still want something to keep the mosquitoes away from you, so you don’t get infected by one of the multiple Mosquito-borne diseases different spices of mosquitoes carry, then you might want to check out these mosquito repellent bands by Xpel. Usually, bands like this are formulated with DEET or other chemicals in order for them to work, but not these ones. 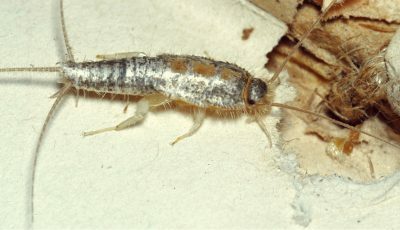 Xpel used IR3535 as their main insect repelling ingredient, which although is a chemical, has much less health or safety risks as DEET for example. And although these bands might not be the best option to use as a mosquito repellent for infants, they can be safely used as a mosquito repellent for children, as long as you explain to them, that you cannot eat chew on them. Because these are bands, not patches or spray, they not only last for much longer than any other form of mosquito spray for babies on this list. In fact, these bands can repel mosquitoes for up to one week. And even though they are not natural, they don’t have any smell and it might be much more comfortable to wear these bands than to reapply mosquito splay every couple of yours. Bands are easier to use than for example patches, that have to be reapplied in a certain amount of hours. They come in a bright yellow color, so they might not be the most fashionable or stylish accessory you can wear. 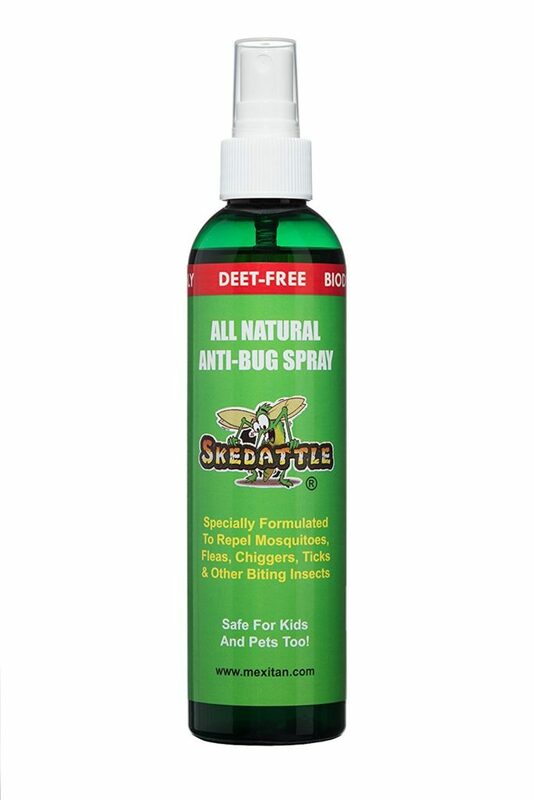 Then there is this Skedattle mosquito repellent spray, that contains natural ingredients, smells nice and can be safely used by anyone, even children. One of the greatest features of this particular spray is the fact that not only the spray is natural and safe for you, but the packaging of it is biodegradable as well. It provides a piece of mind to those who want to use organic products that think of not only our health but also of the health of our environment. Speaking of the repellent itself, it has multiple great features. It smells sweet and pleasant, providing that it is pleasant to use this spray even for prolonged periods of time. The liquid repellent itself is completely natural and made with a compilation of different plant extracts and purified water. And most importantly this insect repellent doesn’t contain any DEET, so you can be sure that it can be used as an insect repellent for babies without risking their health. On top of that, the 8 fluid ounce bottle is small enough to just throw in your bag or pocket and go, yet the liquid inside of the bottle will last you for quite some time. And the spray nozzle will provide a convenient application of the product, making it easy to spray it on yourself or others around you. 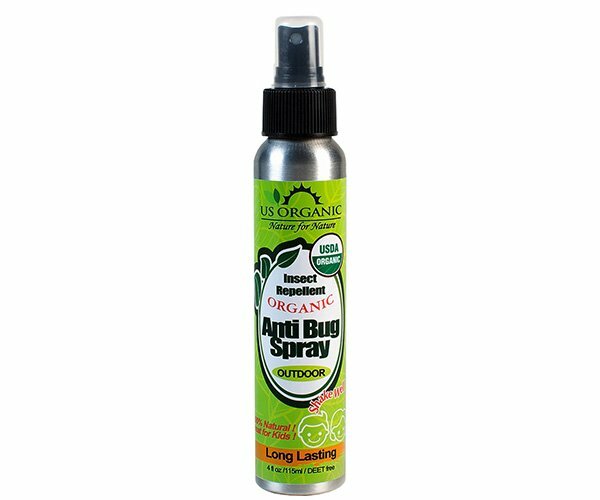 Bottle that the repellent comes in has a spray nozzle, so you can apply this product easily and without any problems. If you don’t like sweet smells, then you might not like this product. Finally among best mosquito repellent for babies there also is this California Baby Citronella bug spray, which is perfect to be used as a natural insect repellent for babies, because it contains only organic ingredients, it doesn’t have any DEET or chemicals in it and it is gentle on the skin. If I mentioned that this bug repellent doesn’t contain any chemicals or toxins, then I should probably say what it does contain. The main ingredients in this mosquito repellent for infants are Citronella, Lemongrass and Cedar pure essential oils that are mixed into water, natural lecithin, soapbark tree extract and vegetable glycerin, so the essential oils don’t leave any residue on your skin or clothing yet the product can still be natural and efficient. This product comes in handy a 6.5-ounce plastic bottle with a spray nozzle, so it is easy to apply even on children. And make sure you shake the bottle before spraying, as that will mix the ingredients together, so you can have the best possible application and insect repelling effect. And this product repels not only mosquitoes but also fleas, ticks, and biting flies. The product does have a slight scent, but it isn’t very strong or very overpowering. If you are looking for the best mosquito repellent for babies, toddlers, and infants, then you have come to the right place, because this is a list of those mosquito repellents in different forms, that are perfect to be used on kids of any age, because these repellents are gentle and doesn’t contain harsh chemicals, yet are extremely efficient at keeping your children safe from mosquitoes. Wonderful information. I’ll try to keeps mosquitoes away from the above tips. I love natural products as well to keep mosquitoes away. I love Ayurvedic mosquito coils and other natural mosquito repellents because they are safe for health and children. Thanks for sharing such a wonderful information. Can we eat food after applying cream? I would recommend washing your hands after applying the cream and only then eating. Even though the cream doesn’t contain any harsh chemicals and won’t do any real harm if accidentally consumed in small quantities, it does contain ingredients like citronella oil, basil oil, and lavender oil, that aren’t advisable to eat. I see that there is a 100% natural repellent that has been tested and approved by the EPA called Mozzipel. Apparently it will be on the market quite soon! Thanks for the heads up, Mark!